I missed the memo about toe picks, dough hooks, and perfect French bread. Because of our collective inability to check the pantry before making a shopping trip, my husband and I managed to purchase approximately 20 pounds of flour over the last few months. To work through this ridiculous surplus, I’ve resolved to bake. A lot. And since my oldest son is obsessed with “the long bread from the grocery store”, I recently embarked on a quest for the perfect French bread recipe. 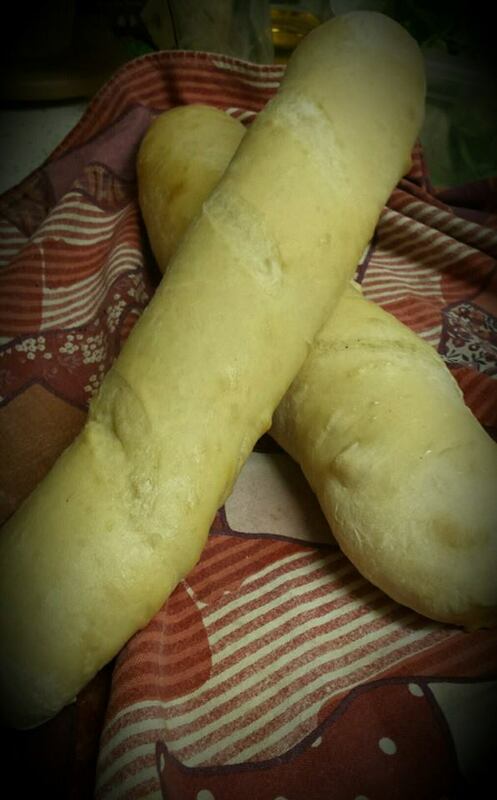 I can attest that this recipe lives up to its name…it is the perfect loaf of French Bread. It’s simple and reasonably easy, but you’ll note that it involves the use of a dough hook. Now, when I got married nearly two decades ago, my mom gifted me a really nice stand mixer, with all the bells and whistles, which I barely used. It just seemed kind of big and unwieldy, and I didn’t really know what all the tools did, so I mostly left my stand mixer to languish in a dark corner of a cabinet. But this new venture into baking had me rummaging through my kitchen to set up my stand mixer. I took a deep breath and attached the dough hooks, and literally gave it a whirl. After seeing the labor saved and the good results, I had to ask myself, why the hell hadn’t I ever used these things before??? And that called to mind this awesome montage from The Cutting Edge...remember that movie? It’s basically “Taming of the Shrew” on ice, pairing Moira Kelly and D.B. Sweeney as an odd-couple who are thrown together to compete in a figure skating competition. What makes it extra cute is D.B. Sweeney’s character is a former hockey player, so he is unaccustomed to skating in actual figure skates, and thus he resists the use of one of their essential features, the toe pick. I profess to know exactly nothing about figure skating, but the toe pick is supposed to really help with all those amazing gravity-defying jumps that elite skaters are able to do. But D.B. Sweeney’s character refuses to use them…he’s a crazy good hockey player, so he thinks he knows everything he needs to know about ice skating. But as he falls again and again, Moira Kelly’s character takes great pleasure in quipping, “Toe pick!” It becomes a perfect shorthand for reminding him he has a lot to learn. Likewise, I thought I knew all I needed to know about making bread. I had made a fair amount of bread in my life, mostly kneading it by hand. I figured the use of a dough hook couldn’t really make that much of a difference. I now admit my folly. Like that stubborn hockey player-turned-figure skater, I resisted using a tool just because I didn’t really know how to use it. Admitting you don’t know something can be a hard sort of vulnerability…you expose your ignorance, you risk failure. But the reward can be sweet. Or a little salty, and chewy, with a perfect crust. My technique still needs a little work, but this was gooooood. Bon appetit and memo received. Next Article Mother’s Milk, Medicine, and *sigh* Measles. I aspire to make this kind of loaf…maybe you have inspired me! ??? 20 pounds of flour??? Oh dearie me…you are amazing. Thanks for the idea, but do I need the 20 lbs?